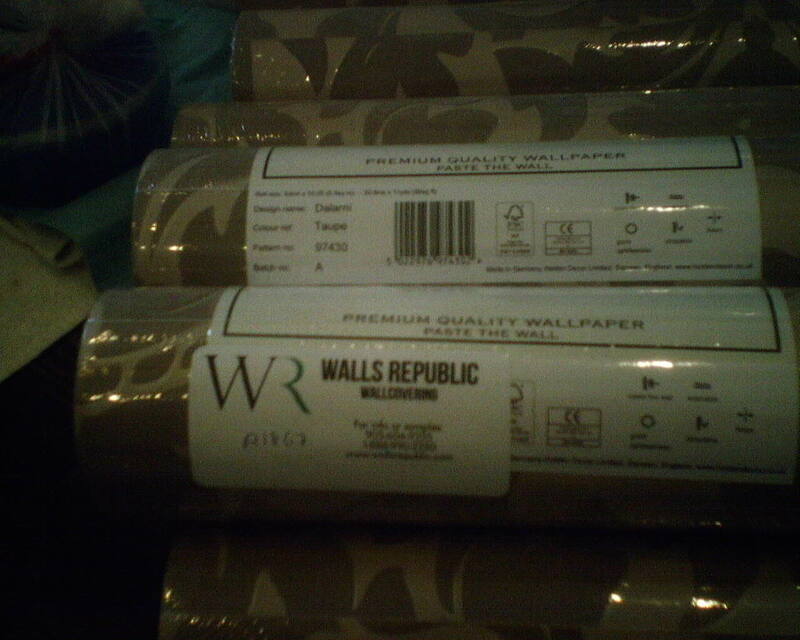 This wallpaper was bought on-line from Walls Republic Wallcoverings. However, they are not the manufacturer of this paper. If you look at the bolt of paper on the bottom of the photo, you will see that Walls Republic has stuck their own label over the identifying information on the manufacturer’s label. The manufacturer’s actual label is revealed on the roll at the top of the photo. A lot of retailers do this. It’s not a bad thing, but it is a little confusing. This entry was posted on January 12, 2017 at 2:13 am and is filed under Uncategorized. You can follow any responses to this entry through the RSS 2.0 feed. You can leave a response, or trackback from your own site.